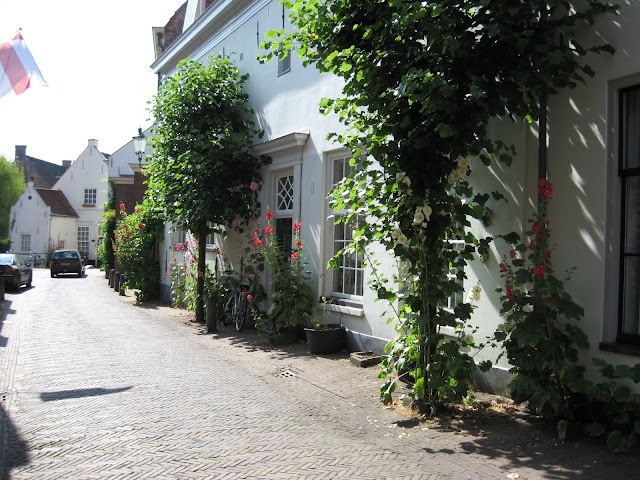 I noticed these plants while walking throught the old city of Amersfoort. They are huge, 2 meters high or even higher. They are called Hollyhock, derived from the name herbalist William Turner gave them in the 16th century: Holyoke. In Latin: Alcea rosea. In Dutch: Stokroos. I have bought seeds and started cultivating them, so next year my garden will be filled with hollyhocks.